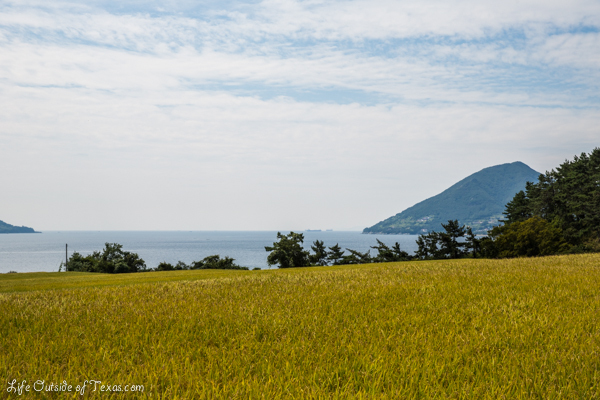 I have to admit that the views of Aenggang Bay are amazing. 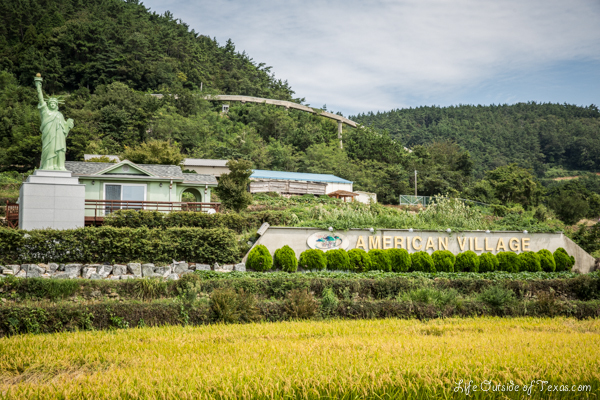 I guess if you’re a Korean-American that wants to retire in Korea, the concept of an American Village might be appealing… assuming your idea of retirement is living in the middle of a rural island. The houses were interesting. I felt like I had walked onto a movie studio lot. A lot of the houses seemed to be pensions (a type overnight lodging). Some of them had a theme, like this one. It was Hawaiian and Indian themed, complete with a Washington Redskins mailbox. We were the only foreigners there that day, but the village was really busy and parking was hard to find. So many people were walking around taking photos of themselves with these “American” houses in the background. 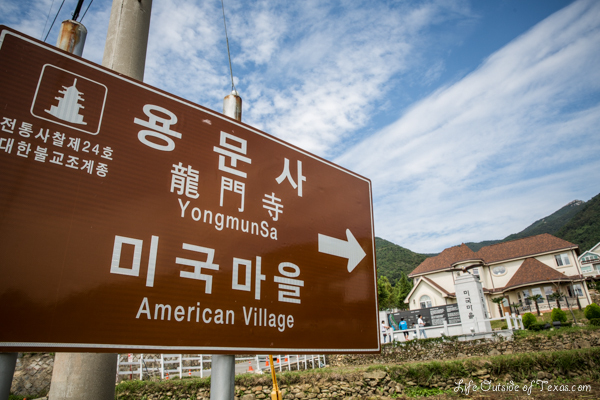 The American Village is a fun place to stop. It’s pretty quirky and an interesting find. I don’t think it’s something I would go out of my way to see, but it’s a nice place to stop at if you’re driving by. 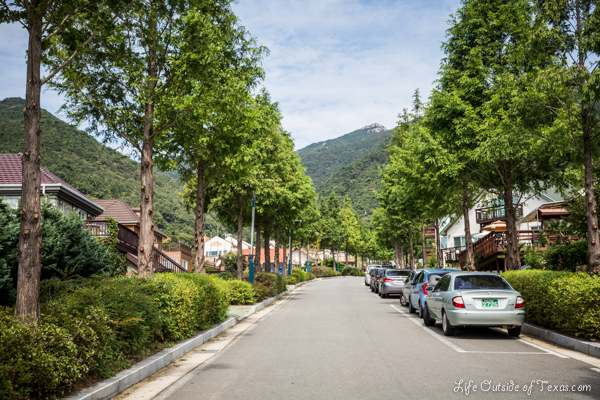 This entry was posted in Gyeongsangnam-do, Namhae and tagged a day in namhae, Aenggang Bay, American Village, 미국 마을, korea road trip, Korean American retirement village, Korean American Village, Namhae Island, things to do in Korea, Things to do in Namhae, weekend in namhae by Meagan & Dave | HappilyEverExpat.com. Bookmark the permalink. Yeah, it surprised us too. 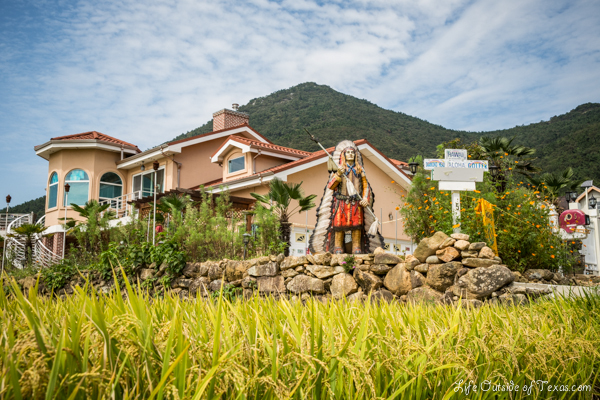 This island also has a German Village. When times were hard back in the 60’s and 70’s a lot of Koreans left and I think this is the Koreans’ way of trying to get some of their people to come home. That’s awesome! I’d love to see that. You must be a pretty fun teacher.